Police said he chased the pregnant woman before catching up with her and ramming into her rental car. OVERLAND, Mo. 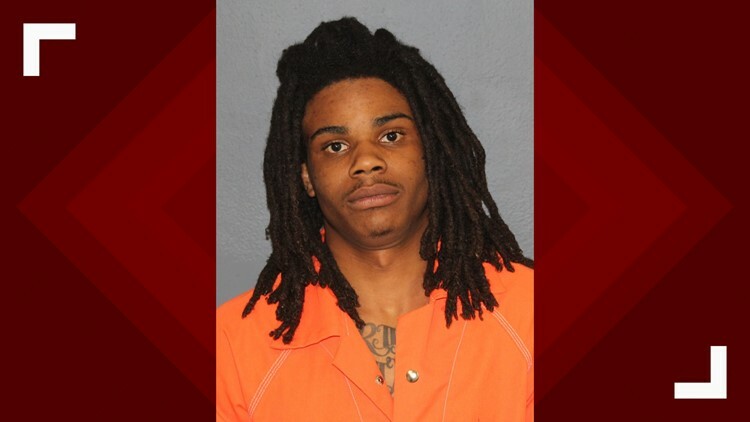 — A man is facing a domestic assault charge after police said he chased down and rammed into a pregnant woman's rental car in Overland. Gavon Simmons, 21, was charged with second-degree domestic assault in connection with the April 10 incident. Overland police said the pregnant woman told them she and Simmons were previously in a romantic relationship but recently broke up. She said she saw him in Overland on the night of April 10 at a QuikTrip and tried to get away. Police said Simmons got into his car and chased after her. Eventually, he drove over some bushes and grass to catch her on the parking lot of a CarX and ramed her rental car, according to police. He ran away before police arrived but was caught two days later. He told police they were racing and he crashed into her because she hit the brakes. He was charged Monday. Simmons is being held in the St. Louis County Jail.